You can visit our Coprosma page or browse the pictures using the next and previous links. That's cheery on a winter's day. I feel a blog coming on... tomorrow I'll take photos of all my little collection - then you'll see why I love them! Thank you - they really are wonderful shrubs. very pretty, - look forward to reading the blog Spritz. I love coprosmas too Spritz, I've made a hedge with them!! I know, Andrea! I am so pleased that someone else knows them and likes them! Senior moment - which one did you use as your hedge - I know it was red? Wow.., this is gorgeous ! Wish I could grow it here . This photo is of species Coprosma. 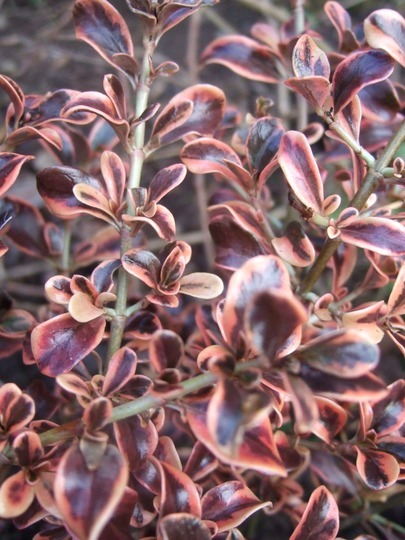 See who else has plants in genus Coprosma.